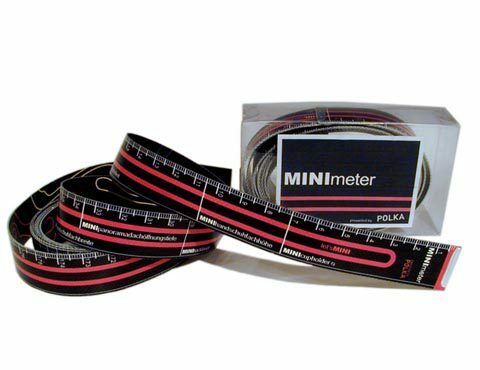 The winning entry of a national competition, the MINImeter is a tape measure marked with all the necessary dimensions of the MINI car (doors, windows, boot and so on). With these precise measurements, the MINI owner can determine in advance whether the chair he wants to buy will fit into the car, or if a parking spot is too small. The reverse side of the tape features a selection of international racing circuits – just in case you prefer to race than park.